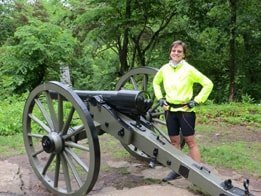 Which of Hancock’s division commanders have statues at Gettysburg? Which of Hancock’s division commanders have park avenues named after them? 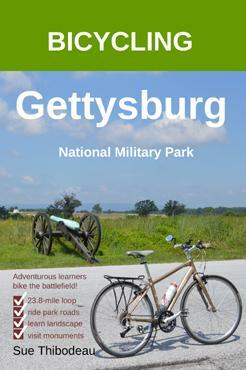 Neither Caldwell, Gibbon, nor Hays have park avenues at Gettysburg National Military Park. 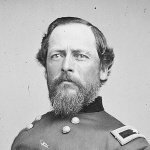 Who were Hancock’s 2nd Corps division commanders? Along Hancock Avenue (Cemetery Ridge) you will find bronze statues of Gibbon and Hays. What symbol identifies the 2nd Infantry Corps on Gettysburg monuments? 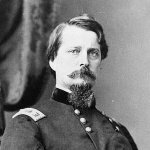 Who commanded the Union 2nd Corps? Who were Caldwell’s 1st Division brigade commanders? Southwest of The Wheatfield and in the Rose Woods area, the battlefield actions of two brigades are marked by park avenues. They are Cross Avenue and Brooke Avenue. Who commanded the 1st Division, 2nd Corps? Who commanded the 1st Brigade of Caldwell’s Division? Who commanded the 2nd Brigade of Caldwell’s Division? Who commanded the 3rd Brigade of Caldwell’s Division? Zook was mortally wounded at Gettysburg while fighting in The Wheatfield. He died at a field hospital on July 3. For his service at Gettysburg, Zook was promoted to major general. Who commanded the 4th Brigade of Caldwell’s Division? Who were Gibbon’s 2nd Division brigade commanders? A bronze statue of Webb is located on Hancock Avenue near The Angle on Cemetery Ridge. Who commanded the 2nd Division, 2nd Corps? 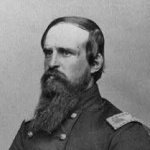 Who commanded the 1st Brigade of Gibbon’s Division? 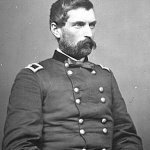 Who commanded the 2nd Brigade of Gibbon’s Division? Note: A bronze statue of Webb is located on Hancock Avenue near The Angle on Cemetery Ridge. 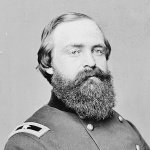 Who commanded the 3rd Brigade of Gibbon’s Division? Who were Hay’s 3rd Division brigade commanders? Who commanded the 3rd Division, 2nd Corps? Who commanded the 1st Brigade of Hays’ Division? Who commanded the 2nd Brigade of Hays’ Division? Who commanded the 3rd Brigade of Hays’ Division?